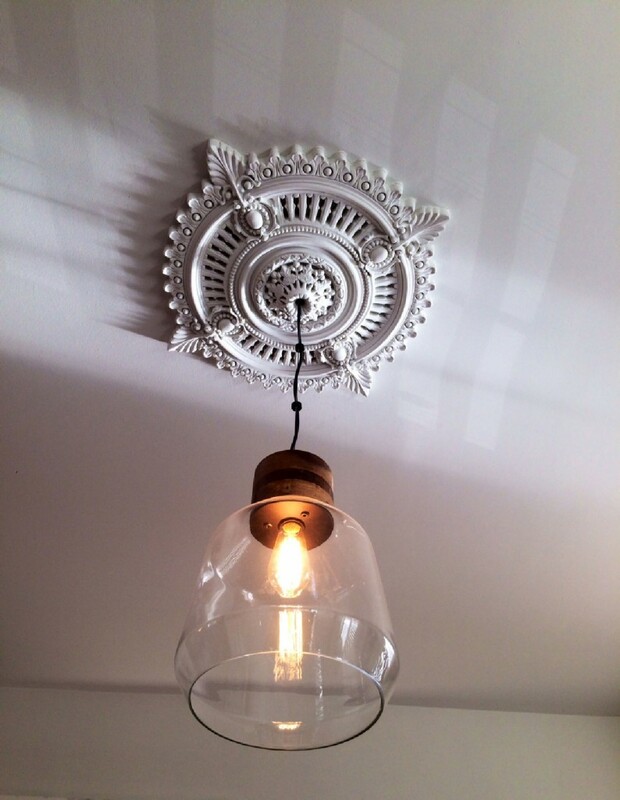 If you are looking for an easy way to bring rich detail into your home, ceiling medallions are a great option! Each medallion is unique, so you’re sure to find the medallion fit for your needs. Not only that, but the lightweight urethane material makes it a viable project for anyone. 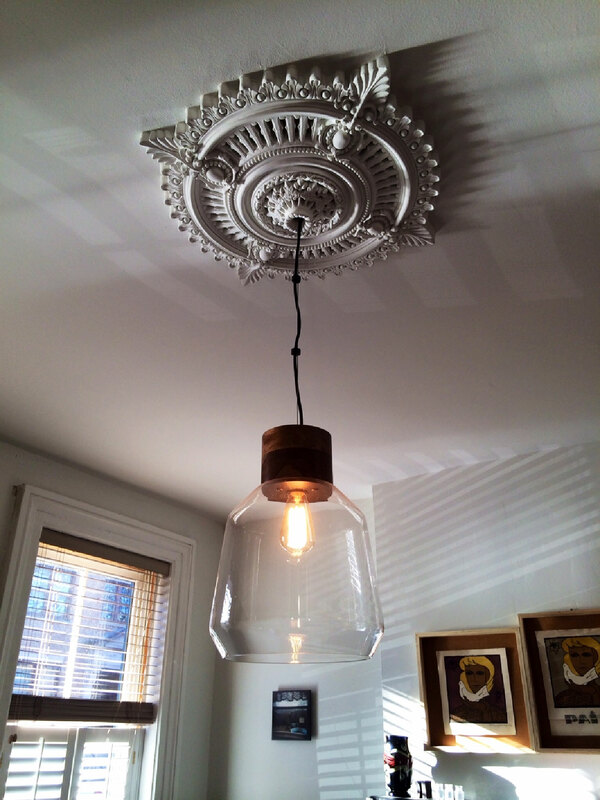 Katherine from New Jersey used the Haylynn Ceiling Medallion, check out the great pictures below!